KRW Partners provide financial solutions for technology, equipment and vehicles. Solutions for your Finance Problems - Get Fast Loans Direct from your Lender. The AWB Group aims to be Australia's leading agribusiness, with strong positions in grain trading, rural and financial services. 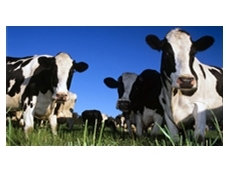 Farm Ready provide farm funding, course funding, grants and reimbursements. 12/06/12 - Australian rural confidence has slumped further, while falling commodity prices have had the greatest impact. 22/02/11 - Rabobank Australia & New Zealand has appointed two new specialist analysts, Michael Harvey and Rebecca Redmond, to join its Food & Agribusiness Research and Advisory (FAR) division.